The king of fruits like mango are all great and even more delicious mango shake made of sounds. Mango Shake common both at home and in the summer season, so it could not have made it so. Children and big mango shake tempts everyone. Even people who do not like to drink milk they drink it eagerly. So let's make today Mango shake everyone's favorite. The first milk to boil and add mango cold wash, peel and take pieces of their pulp. 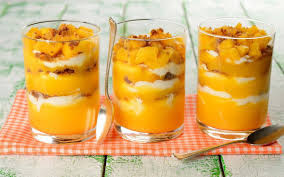 Then put in a grinder and mango pieces and sugar and mix well, then mix in the milk and mash put ice cubes once again take mash. Mango shake is ready. Now put it in cold 3-4 glasses please everybody. You also can drink and put ice cream in mango shake. It will look even tastier.